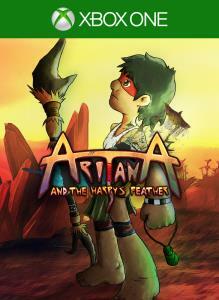 Aritana is a platform game with a mechanic based on the switching of postures. These are what define the attributes of Speed, Jump, Attacks and Special Abilities. You must choose between these postures to overcome obstacles and fight the Spirits of the Forest in a fast, intuitive and fun gameplay. Learn new moves and abilities throughout the game and create combos that will help in the fight against the spirits. In addition, Mapinguari will chase you constantly and will be responsible for battles that require concentration and mastery of all skills learned. Aritana was 2014 Brazil’s leading title, earning three “Best Game” prizes, one “Best Sound” prize and three nominations. High quality graphics and solid gameplay made this title a resounding Brazilian success. The story relies heavily on Brazilian culture, delivering to international market something fresh and enjoyable. Embark on this new experience and face the rainforest dangers!